On this week's TribCast, Emily talks to Ross, Aman and Marissa about the second (and final?) 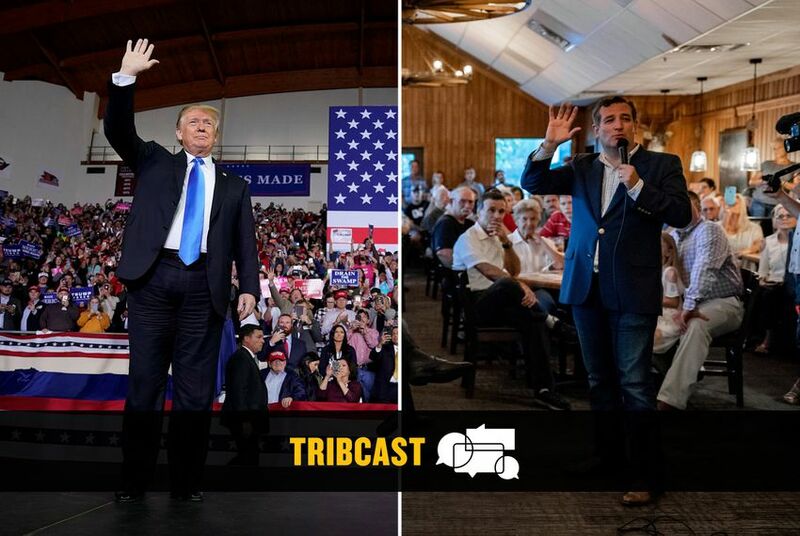 debate between Ted Cruz and Beto O'Rourke, the upcoming Trump rally in Texas, the state's decision to end a contract with a crisis pregnancy center and Ross' list of top Texas races to watch. 1. And the winner is..
Who won Tuesday night's Cruz-O'Rourke debate? Our panelists are unanimous: It was Ted Cruz. Aman lays out the latest on O'Rourke's fundraising totals and recent lines of attack, while Ross talks about the kind of turnout he'll need to eke out a win. Aman forecasts President Trump's forthcoming rally for Ted Cruz in Houston, and explains what goes into sending reporters to cover such a spectacle. Marissa reveals how the state's health commission ended a politically charged contract with the Heidi Group, a crisis pregnancy center — and why that left reproductive rights advocates gleeful. She also fills us in on some trouble brewing inside the state's Adult Protective Services agency. Ross dives into his election Hot List to tell us which Texas races have caught his eye ahead of the midterms, either because they may be super close, or because they're getting outsized attention. Aman explains how allegations of voter disenfranchisement at Prairie View A&M and an arrest of a congressional campaign staffer in Waller County made national airwaves this week.